п»ї Center for Regional Studies - Project "Joint environmental monitoring, assessment and exchange of information for integrated management of the Danube delta region"
Improving cross-border cooperation in the Danube Delta and building capacities for introducing a river basin approach to the management of natural resources in the Danube Delta Sub-basin (DDS). Proposal for pursuing next steps towards integrated basin planning and management. The project will establish the basis for the development and enhancement of a coordinated water management policy in the Danube Delta Region based on the principles of the EU Water Framework Directive (WFD) and the provisions of the Joint Declaration of the Heads of Delegations from the Republic of Moldova, Romania and Ukraine “Towards a River Basin Management Plan for the Danube Delta supporting sustainable development of the region” (Vienna, December 2007). This project will implement the first essential step towards integrated management of the DDS, namely the preparation of a joint Danube Delta Analysis Report. 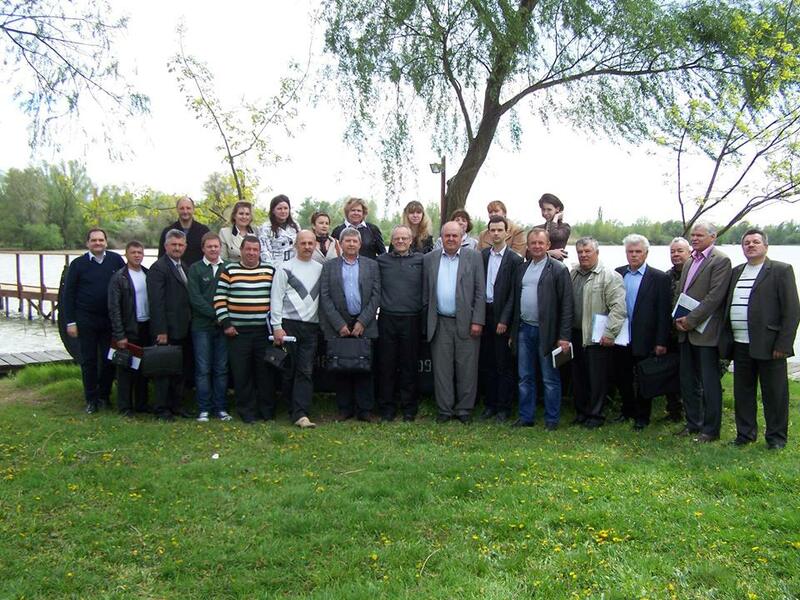 For doing that, a Danube Delta River Basin Management Expert Group (DD RBM EG) will be created under the umbrella of ICPDR to coordinate the development of the DDAR according to the established methodology EU Water Framework Directive (article 5). The Danube Delta Sub-basin Analysis Report will significantly improve knowledge about the Danube Delta Region suggesting a comprehensive picture of the situation in the region in the context of the state of the environment, water quality and quantity, human activities in the region and pressures on the environment, the current management of water and natural resources, impacts of climate change on water resources, gaps and opportunities etc. The draft of the DDAR will be discussed and agreed with Romanian, Ukrainian and Moldovan central authorities responsible for environmental issues and water management, and with the ICPDR constituency / working groups. Public consultations will be held within the region in Tulcea (Romania), Izmail (Ukraine) and Kahul (Moldova) to ensure active involvement of the public and stakeholders in the process of elaboration and implementation of a River Basin Management Plan for the DDS. The DDAR will be published and disseminated in Ukrainian, Russian, English, and Romanian/Moldovan. Derived communication products will be developed to increase the report’s impact among the public and decision-makers (popular summary, a collection of maps, electronic versions of all major outputs). An important component of the project will be field activities to collect original data to fill remaining knowledge gaps, but also to engage the countries in joint collection and verification of the data that can form an improved basis for development platform in the future. Specifically, a field study Joint Danube Delta Survey (JDDS) will be conducted following the approach of the Joint Danube Survey (JDS 2, 2007), including two main parts: survey of the Danube Delta itself and its coast (main Danube branches, internal lakes of the delta, mouth of the Prut River) and field studies in the sub-basin area (big Danube lakes of Kagul, Kartal, Yalpug-Kugurlui, Katlabuh, Kitai; lake complex of Razelm-Sinoe; Prut floodplain lakes – Manta and Bileu; small tributaries of the Danube and Prut rivers). Surveys of the delta, its coast and the connected inland areas will be conducted in synergy and coordination with the Joint Ukrainian-Romanian monitoring programme in the Danube Delta (under development), and its itinerary will be developed in order to maximise synergies and avoid any possible duplication of efforts. The development and implementation of the JDDS programme will facilitate a harmonization of monitoring systems in the Danube Delta. The project is implemented by the ICPDR through the “Environment and Security” initiative (ENVSEC) with the financial support from the Finnish and Swedish Governments.